This is a really neat and compact atomiser which has it all. Easy Aqua produce some nice gear and this one is no exception. Below are a few details and why it’s different from a traditional diffuser. Atomisers sure are the way forward. 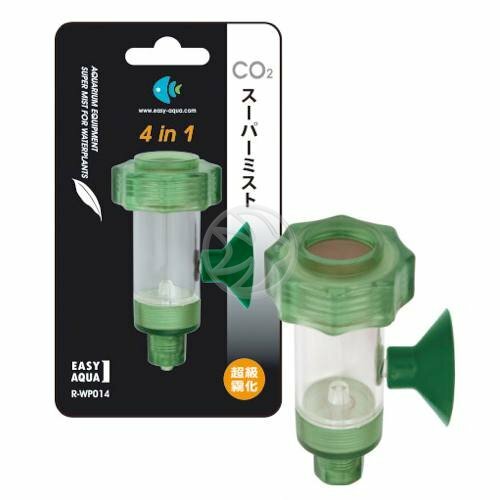 The Easy Aqua 4 in 1 Super Atomiser has an extremely compact CO2 plate which means that when CO2 is forced through it, the bubbles are really tiny. As a result they ‘hang’ in the water, floating around doing their business. The longer the CO2 stays in contact with the water, the more it’s absorbed. This means you need less CO2 and makes having a decent ceramic plate all the more important. Traditional (cheaper) diffusers have basic ceramic plates. CO2 can be pushed though them very easily but the bubbles are larger and shoot to the surface. This means they aren’t absorbed and you need much more gas. As the bubbles pass through a glass diffuser plate, they can make a high pitch, irritating noise. Because atomisers have a much tighter plate, you don’t get this noise. The bubble counter is visible on this atomiser so you don’t have to worry about a separate one elsewhere in your tank. Whilst a bubble counter is important, don’t base everything on it – your drop checker is the key to your CO2 levels and if you need to increase the dosage or not. However, it’s a good indication and you know what 2 bubbles a second looks like for example. The check valve has double safety mechanism so there really is no chance of it not working. CO2 tubing has to be connected to the atomiser by a locking mechanism in order for it to keep it in place. Why doesn’t my Easy Aqua Super Mist Atomiser work? You need 2 bar pressure in your regulator for this to work as it should. Otherwise, there’s simply not enough pressure to push the CO2 out of the tightly compacted atomiser plate. Check out the YouTube clip on our website – that’s at least 2 bar pressure being run and look how fine the CO2 mist is. Some regs won’t allow you 2 bar pressure, so another thing to bare in mind (most do though). You need to ensure decent connections on your CO2 tubing because the 2 bar pressure can pop off (try the Easy Aqua Double Check Valve as this has screw fittings). 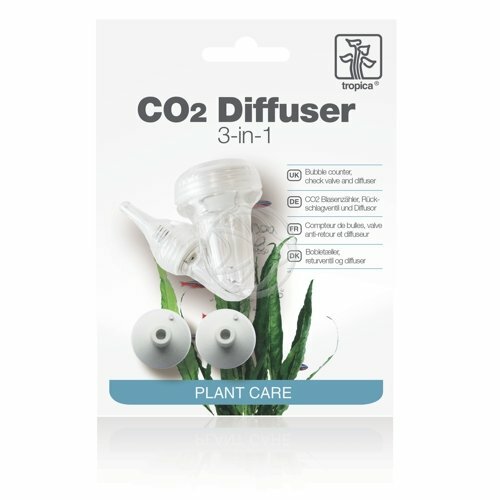 Sometimes it takes a few minutes for the CO2 to pass from the regulator to the atomiser – don’t expect immediate results (like from glass diffusers). This is because pressure needs to build up along the CO2 tubing and then pass into the atomiser. Lastly, use proper CO2 tubing! Air line tubing is not suitable and will definitely pop off.